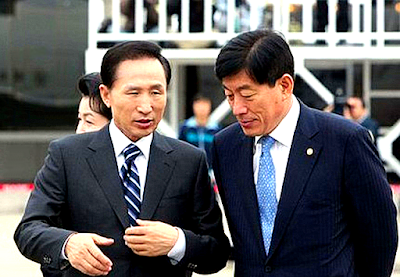 Former President Lee Myung-bak 이명박 of South Korea may soon be running again. Not running for political office... Running from Justice & the Law. Wealthy politicians often argue (link) the nation now needs unity in the face of foreign adversity. But accountability is essential to reconciliation; criminality without disgrace is dangerously malignant. Does Halloween Disrespect Our Troops? Did Weinstein see The Trump Scripts? Nobel for ICAN - Japan says "I Can't"